Today I’m sharing a pretty Spring craft, I know it’s still winter but we’ve had pretty warm weather here the last few days and it’s getting me excited for spring! 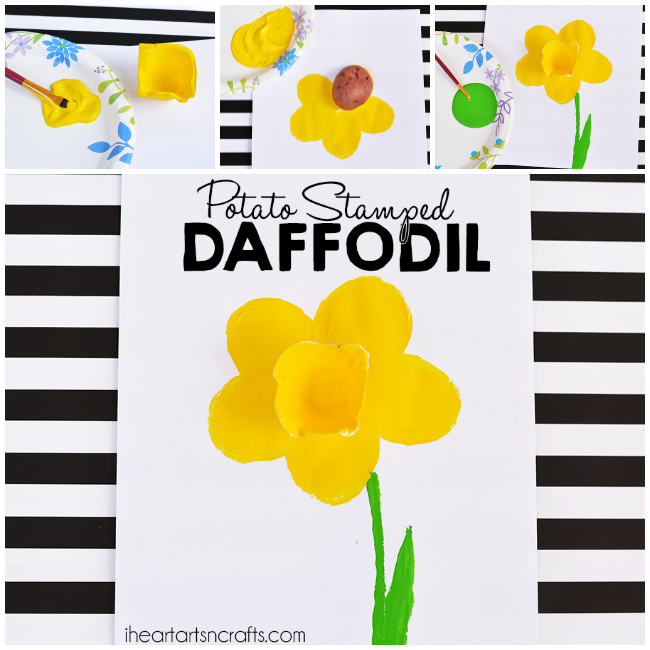 We had some egg carton’s laying around because I can never get rid of them when I know we can use them for a craft session, so we made some of these easy 3D Daffodil’s. This project using potato stamping for the petals and egg carton to create a three-dimensional effect when it’s finished. 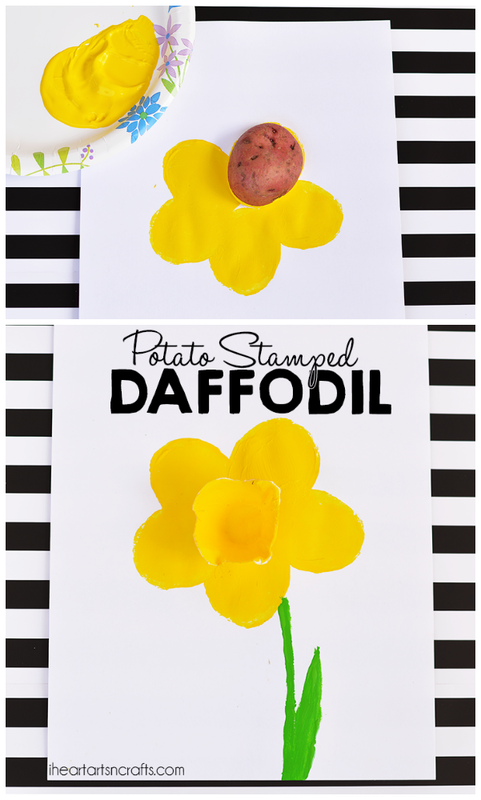 First you’ll want to take a potato and cut it in half to create the shape for your petals. 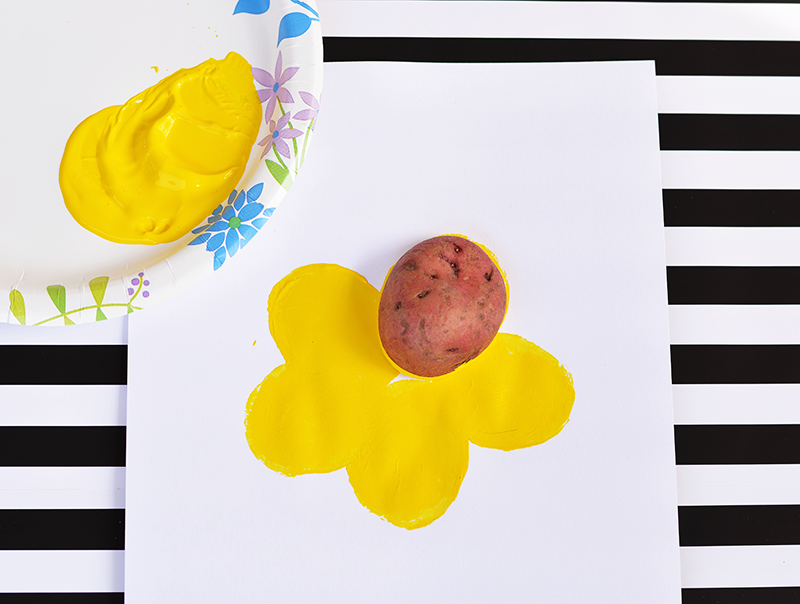 Use the potato half as a stamper and stamp it into some yellow paint. 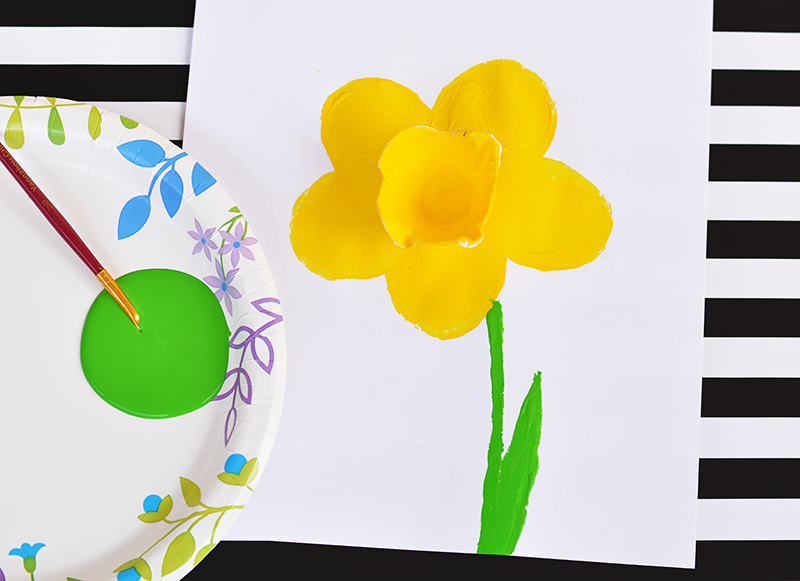 Then place your stamper in a circle to create your flower like the image below. 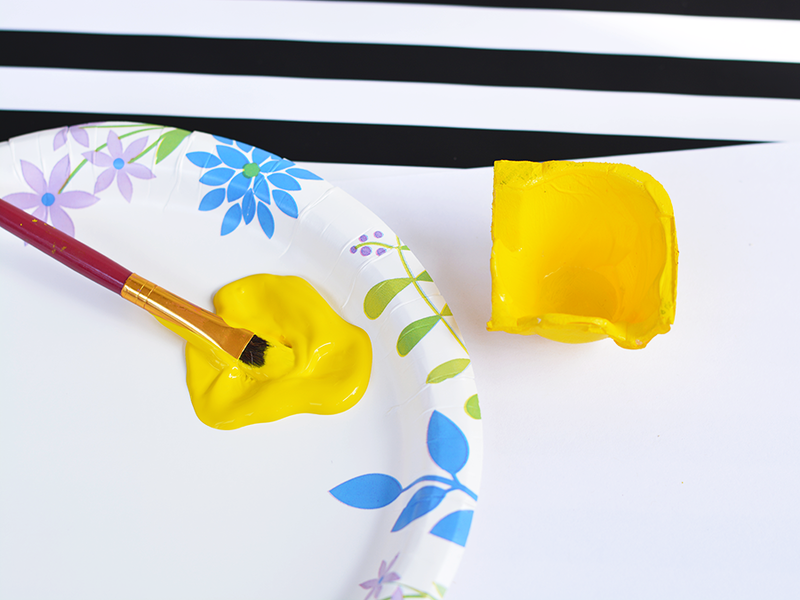 Then cut out one section of your egg carton and paint that yellow, covering then entire piece with paint. Then set it aside so that it can dry. Once everything has dried take your egg carton and glue it into the center of your flower. 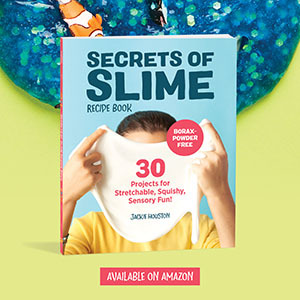 You can then take some green paint and add in a stem!